Regardless of your budget, we are sure we will have a web design solution to suit your business needs at Tweetiepie Media. 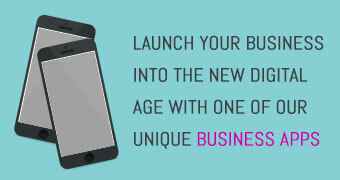 With our web design packages starting from as little as £349, we can have you up and running in no time! They say it only takes 1/10th of a second to make a first impression, so when it comes to your website you want to get it spot on. We understand how mind-boggling and expensive it can seem to get your own website up and running: That’s why Tweetiepie Media will be with you every step of the way, whether its to point you in the direction of marketing funding (available only to businesses registered in the Inverclyde area) or to help you kick start your business – Tweetiepie Media can help! Perhaps your website just isn’t doing its job properly. Did you expect more? Is it failing to reach the top pages on Google? Or are you thinking of giving your website a face lift? Maybe you’re looking to create a mobile friendly version of your website? We’ve got you covered. Whatever your business, please contact us and we will get back to you with a bespoke package to suit your needs. We can also incorporate social media set-up, consultancy and management into your website package along with many of our other marketing offerings.